What if performance nerves are not just treatable, but able to be conquered? 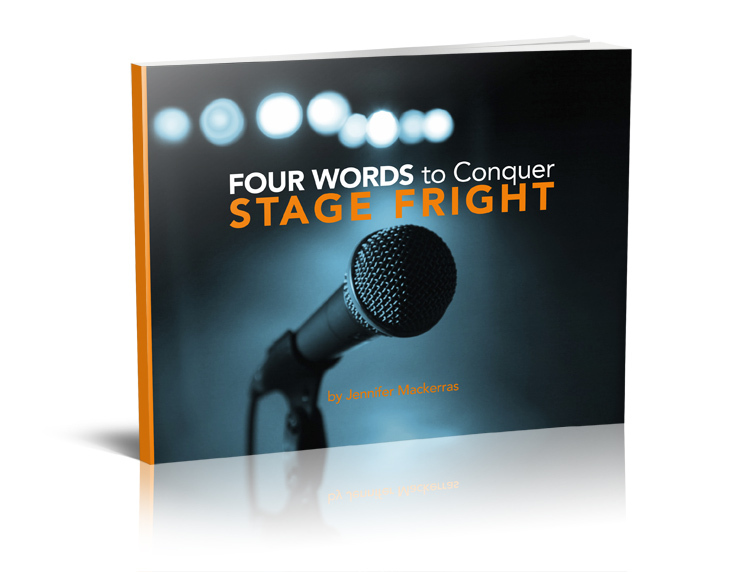 In this book and course, Jennifer Mackerras – a former stage fright sufferer – gives you ideas, tips and techniques to help you beat the nerves, and shows how the principles discovered by Australian actor FM Alexander can help you conquer your fear. This book will deomonstrate to you that stage fright is not inevitable, and that it is not incurable. Rather, it is a set of physical signs and symptoms that we have learned to misread and misunderstand, made worse by unhelpful thinking around the whole idea of what performance is all about. I’ve filled the book with ideas, tips and techniques to help you beat the nerves so you can perform to the best of your ability, every time. And I know they work, because they’ve helped me. I was a former stage fright sufferer. This book contains the ideas that helped me enjoy being on stage once more. Exercises to help you succeed in creating new thought patterns about performing. If you want to perform with greater ease and freedom, if you’re interested in economy of effort and more enjoyment, then this book will give you the tools to begin the process of improvement. For actors, musicians, and performers, this means being able to perform to the full extent of your creativity with ease and grace. For people who suffer from public speaking anxiety, this book will give you the tools to be able to deliver that speech with aplomb, or nail that work presentation. If you want to conquer stage fright, just click on the button below. Your eBook will be available for download using the link in the email I’ll send you.